Here are the most frequently asked questions about IELTS exam. Is IELTS test paper based or computer delivered? Until recently, IELTS was only a paper based test. Starting in 2016, some centres started offering Computer Delivered Tests (CDT) for IELTS. Check with your local centre if Computer Delivered IELTS is offered. Which skills do I take on the same day? Yes, it does. It is an international test of English. However, most examiners in speaking are English or Australian and may not be familiar with typical American phrases. Can I use a pen in my IELTS Test? For handwritten IELTS test, you can use a pen or pencil for your IELTS writing test. However, for your listening and reading test, you must use a pencil (don’t forget to take an eraser with you). Pens and pencils are not required for Computer Delivered IELTS, however, you will be provided with a single A4 sheet of paper and a pencil to take notes. How many times can I take my IELTS test? Can I wear a watch in my IELTS test? What happens if I am colour blind? You should contact your IELTS test centre before the exam to let them know. They will adapt any colour pages or illustrations for you in the test. Can I write using capital letters? Yes, you can. You can use all capital letters for listening and reading. For writing, it is best not to use all capital letters for your tasks. How long does it take for my test results to arrive? Your results will be posted to you 13 days after you have taken your test. It is possible to get your results by sms or online at some test centres. Contact them to find out. However, there are times when results are delayed longer than 13 days – see question number 5 below. How long are my IELTS results valid? 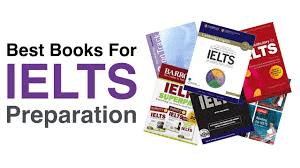 Can I get my IELTS test remarked? Yes, you can. It costs around 150 USD to get your test remarked. It is the same price for all 4 skills or just one. You should contact your local IELTS test centre to get the form for remarking. If your results change and your band score goes up, you will get your money refunded. You have 6 weeks after taking your test to get your test remarked. Your test will be remarked by a different examiner. It takes about 6 to 8 weeks for the results of your remark to arrive. Alternatively, you could take your test again. If I take IELTS twice, which result can I use?